The Board took legal action against Jay Swingler, Axel Grassi-Havnen, Peter George Taylor and Jesal Parshotan, for breaching its bye-laws. None of the defendants appeared at the hearings, which took place at Hull Magistrates Court on Friday 23rd March. Swingler, 23 of Dudley, West Midlands, and Grassi-Havnen, 21, of Sutton Coldfield, attempted to climb the bridge on July 26th last year. 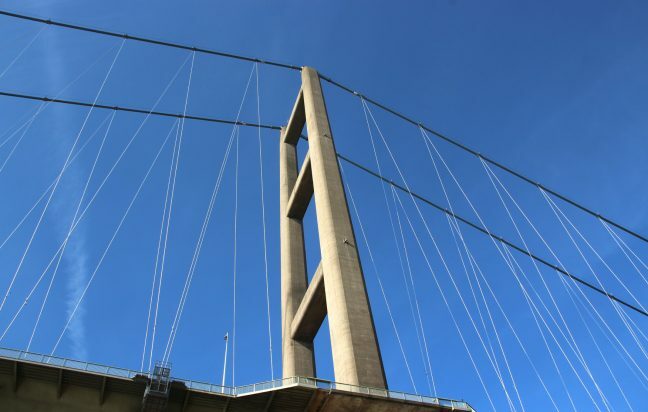 This was followed, just days later, by London-based Taylor (18) and Parshotan, aged 28, who illegally climbed the Humber Bridge on August 1st. Swingler and Grassi-Havnen both pleaded guilty to trespass. Swingler was fined £135 and ordered to pay costs of £125 plus a victim surcharge of £30. Grassi-Havnen was fined £100, ordered to pay costs of £125 and a victim surcharge of £30. Taylor and Parshotan were each fined £235 and ordered to pay costs of £125 plus a victim surcharge of £30.